FRAMED PRINT. 22x18 inch (56x46cm) Framed Print with Black Satin with Off-White Digital Mat. Artwork depicting PARANORMAL/MAGIC/WIZARDS. LE SORCIER DU VILLAGE Popular print depicting a young country couple visiting the local wise man to know what the future holds in store for them. Professionally made to order in the USA. Artwork Description... 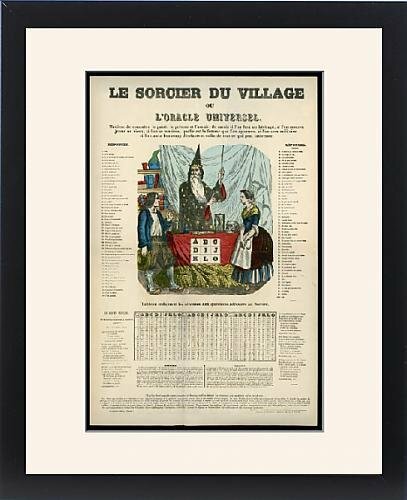 LE SORCIER DU VILLAGE Popular print depicting a young country couple visiting the local wise man to know what the future holds in store for them.